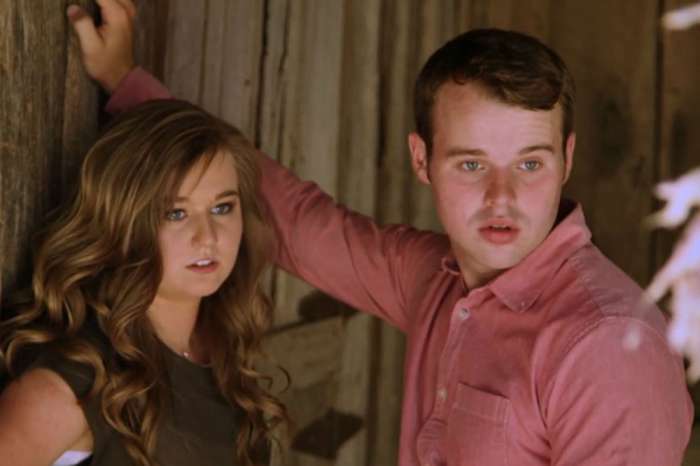 Jana Duggar might be the latest Counting On star to enter the courting world. After weeks of speculation, one of Jana’s potential suitors, Caleb Williams, recently shared photos of him hanging out with family patriarch Jim Bob Duggar. Are Williams and Jana courting? According to the reports, Williams and Jim Bob attended an Arkansas Razorbacks game together and appeared to have a great time. Although Williams is reportedly a lot more liberal than the ultra-conservative Duggars – a task that isn’t hard to accomplish – the two snapped a photo for social media and it looked like the game went off without a hitch. In fact, Williams captioned the image by thanking Jim Bob for the invite, leading some fans to speculate that the two are starting to bond. This isn’t the only evidence that Williams is spending more time with the Duggars. In a separate post, Williams shared a photo of himself holding Josh Duggar’s new boy, Mason. Williams wrote that it was the first time he held the infant child and thanked Josh and Anna Duggar for letting him hold their son. These posts, of course, are not solid evidence that Williams and Jana are courting, but he is clearly becoming more than friends with the family. Whether or not this leads to an official relationship is yet to be seen. Although Jana may be involved in a romance, Williams is no Prince Charming. An inside source revealed that Williams has been a friend of the family for a number of years, yet he doesn’t like following their strict courting rules. The source claims that Williams doesn’t attend the same church as the Duggars and is more liberal in his thinking. Williams’ liberal stance might not be a problem for Jana. Sources close to Jana say that she wants to make her own decisions when it comes to marriage and isn’t too keen in following all of the family’s rules. If Jana is looking to be a little more independent then dating Williams might be a good move. Jana Duggar and Caleb Williams have not officially confirmed their relationship. Jana was also rumored to be courting Williams’ brother, Jacob, though he has denied the claims.